Aiken Electric Cooperative (AEC) Area Director, Todd Scoggins has been volunteering with Salkehatchie Summer Service Camp for over 12 years with his dad, seventeen-year veteran Gene Scoggins. Now his son, Benji Scoggins is embracing the family tradition. Also volunteering, for a second year, was AEC Crew Chief Chris Turner. 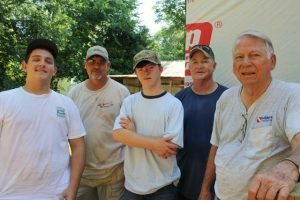 Salkehatchie Summer Service Camp is a faith-based home improvement program that assists low-income families in the Edgefield area. 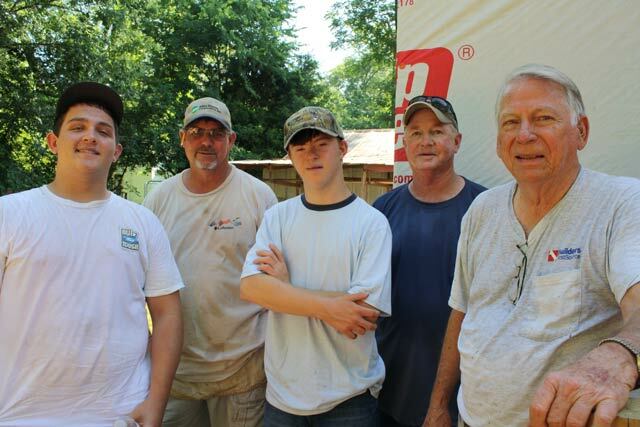 Pictured from left are Salkehatchie volunteers Nicoholas Edwards, Todd Scoggins, Benji Scoggins, Chris Turner and Gene Scoggins working at an Edgefield home June 17.